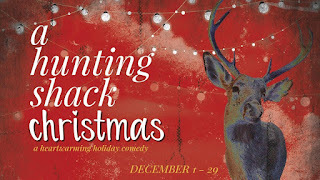 If you didn't get tickets to Yellow Tree Theatre's annual delightfully wacky and very Minnesotan original holiday play tradition this year (limited tickets for the original Miracle on Christmas Lake available), you're in luck! 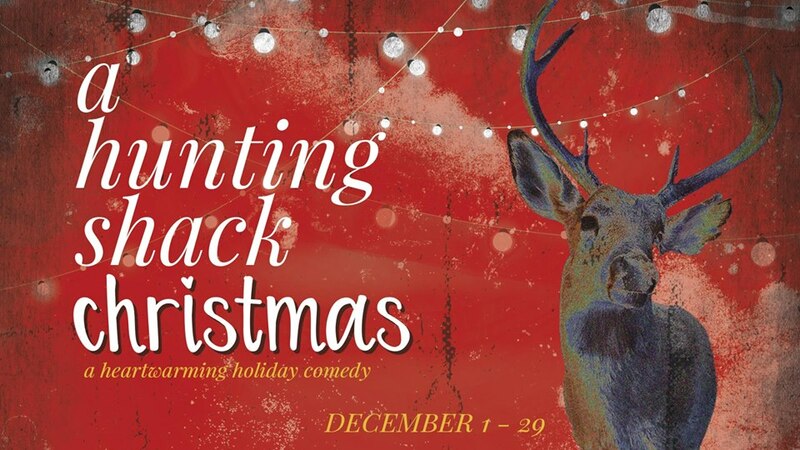 Actors' Theater of Minnesota is producing another Jessica Lind Peterson penned Minnesota Christmas comedy, A Hunting Shack Christmas, at Camp Bar in St. Paul. The play premiered at Yellow Tree in 2014, and in this production John Haynes reprises his role from that show, and also directs. In the casual space at Camp with an exuberant cast, it's great fun, with lots of local humor, and a little bit of heart too (click here for info and tickets). A Hunting Shack Christmas is told in informal narration, with narrator Charlie often speaking directly to the audience and fully acknowledging that we're in the theater, directing the sound and lighting and calling for memories. As Charlie, Nick Wolf is charming and disarming as he invites us into the world of the hunting shack, a relatable guy who's searching for something. Shana Berg is delightful as Jen, appearing in Charlie's memories before showing up as the shack. Max Mars' Ham is the self-described comedic relief, a promise he fulfills as the slightly odd young man still living with his mother and engaged to a possibly fictional stereotype of a woman from Norway. Marci Lucht is warm and funny as the stereotypical Minnesota mom, and John Haynes has the role of the grumpy but lovable Uncle "Big Paul" down pat. The set is littered with items you might find at a cabin up north, including a rack of boots and outerwear at the entrance. An old fridge, well worn comfy furniture, and stockings hung up on the wall complete the festive look. The costumes are, like everything in the show, hilariously stereotypically Minnesotan and "Up North" (props, costumes, and set design by Lisa Fulton). 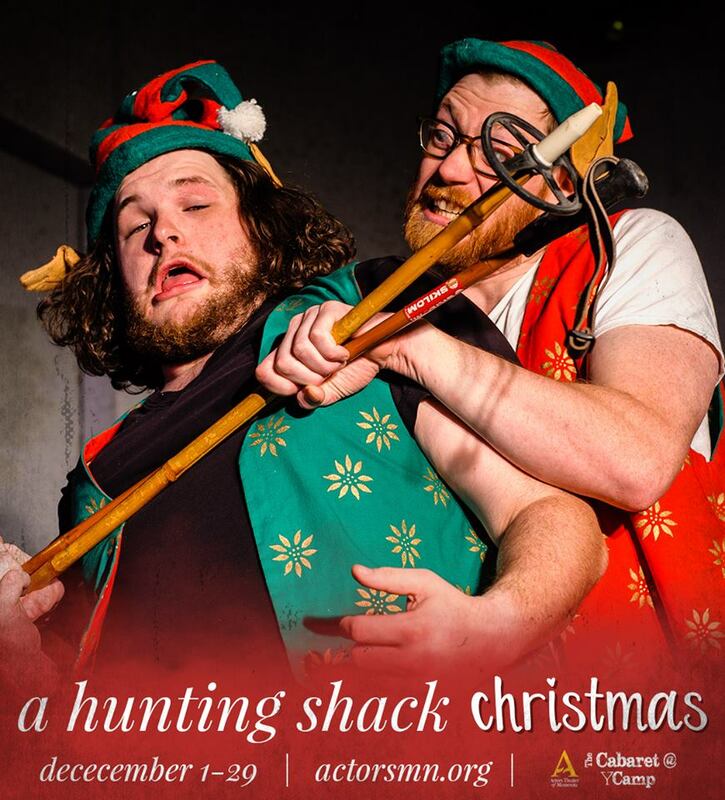 A Hunting Shack Christmas continues through December 29. Camp offers a relaxed atmosphere that had the audience talking back a little too much for this Minnesotan theater-goer, but which does allow for a more celebratory mood (the literal buckets of beer one can purchase also help in that respect). I recommend going early and having a meal at one of the restaurants on the same block (Keys Cafe, Black Sheep Pizza, and Sawatdee Thai to name a few). Metered street parking is available in the neighborhood, or at a few nearby lots. No need to drive 300 miles through a snowstorm, this Northern Minnesota hunting shack is easily accessible and without the offensive smell. **Plot summary borrowed from what I wrote about the 2014 production. I keep seeing shows at the Camp Bar and I know this venue has a rich history. I'll have to go and check one out soon.